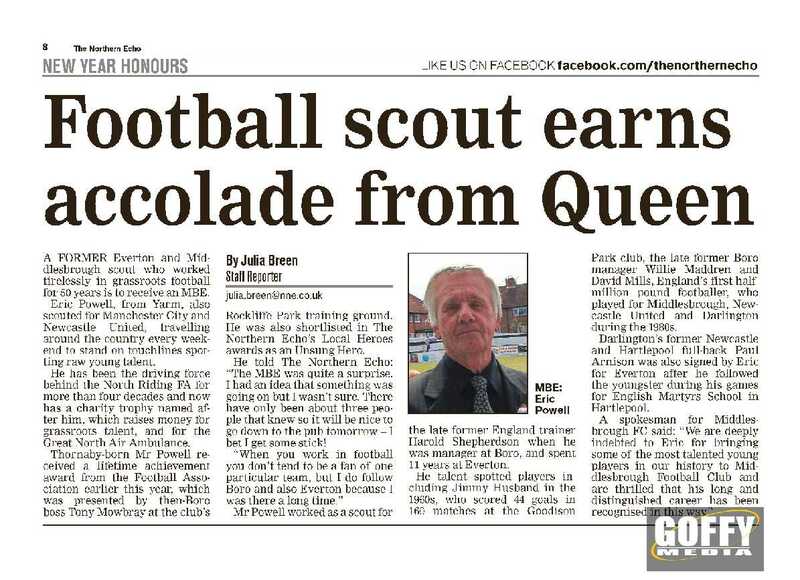 Eric Powell is a veteran football scout, with a long association with clubs such as Everton, Newcastle United, Manchester City, Middlesbrough and many more. 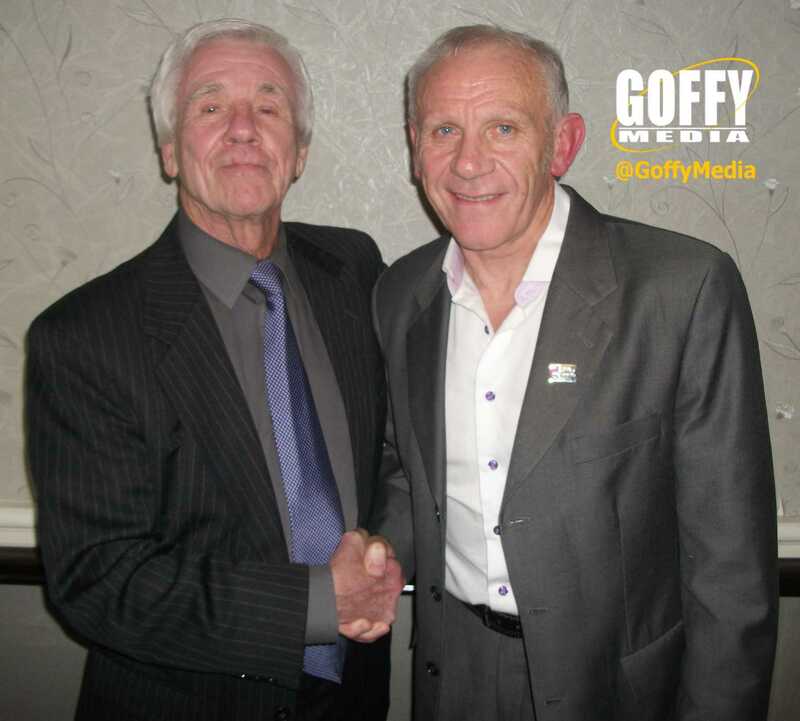 Goffy was approached by Eric's friends & family to instigate some kind of recognition for Eric's 50 years devotion to helping young footballers achieve their first breakthough into the professional game. 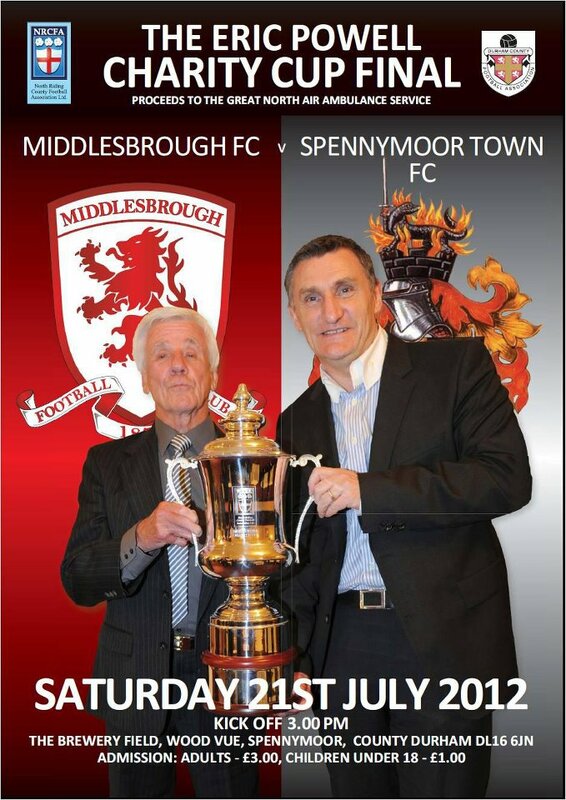 The match was a curtain-raiser pre-season cup final, with all proceeds going direct to local charities, including the Great North Air Ambulance, and providing underprivileged youngsters with sets of new football strips. These annual matches also proved to be the platform to gain much-deserved publicity for Eric, who hitherto had chosen to remain very low key. 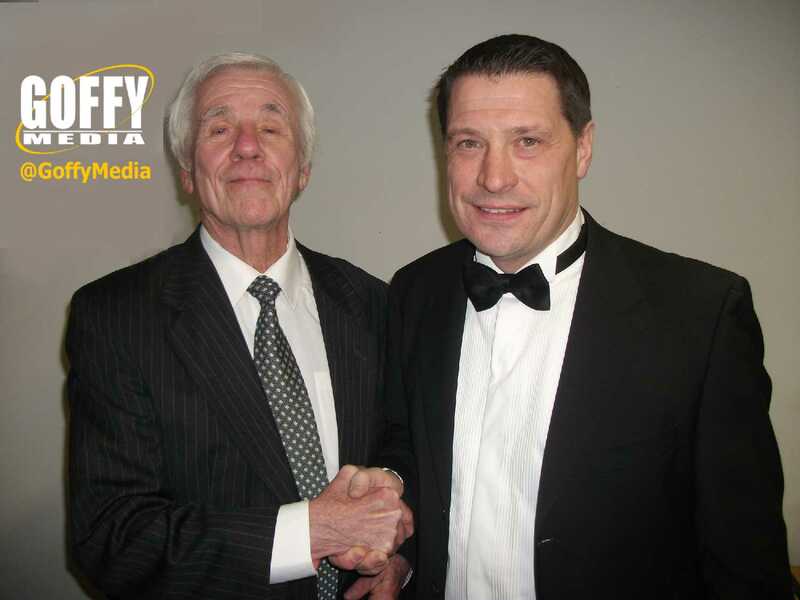 As with any award, it's always vital to receive backing from high-profile people, and Goffy wasted no time in assembling some of the big names Eric had worked with during his career. 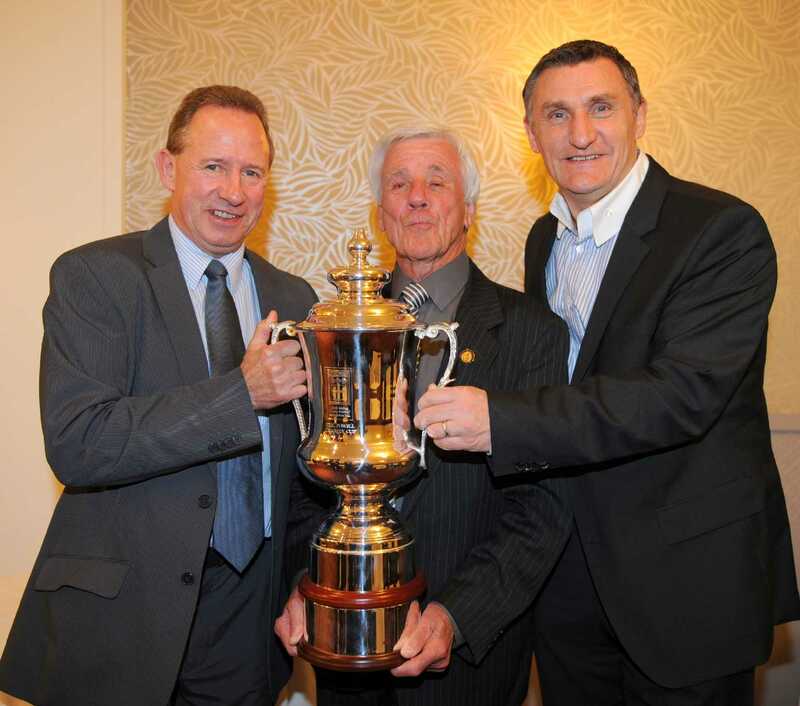 He is pictured on this page with such footballing legends as Alan Shearer, Kevin Keegan, Peter Reid, Tony Cottee, Tony Mowbray and twice European Cup-winning captain John McGovern. 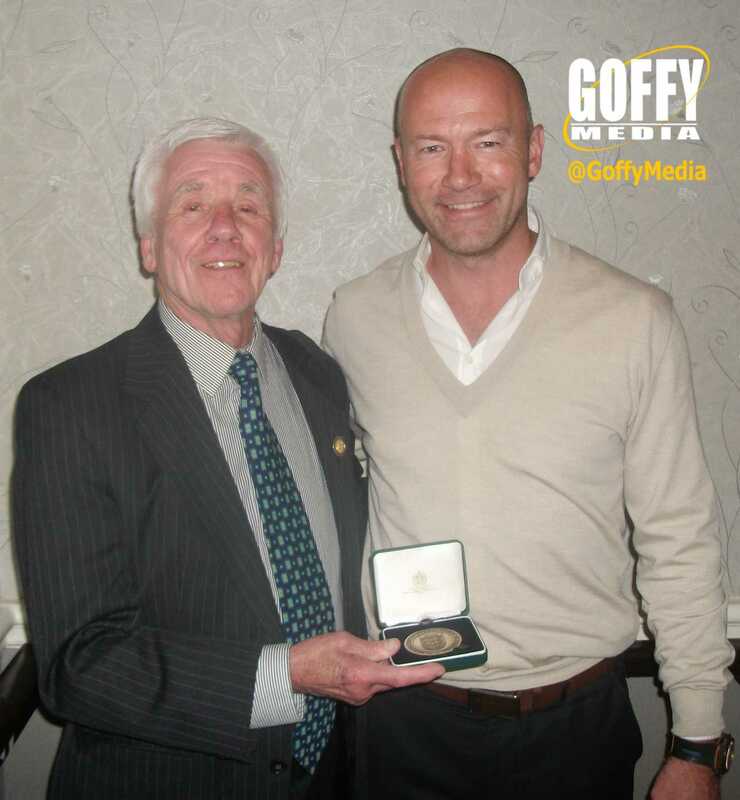 In summer 2014 Goffy Media presented a huge file about Eric's contribution to football across the decades to the Department of Culture & Media. This was studied by both Sebastian Coe and former England Manager Graham Taylor. This all helped towards the ultimate goal of Eric receiving the M.B.E. for his services to football, which Eric was presented by Her Majesty The Queen at Buckingham Palace in January 2015. 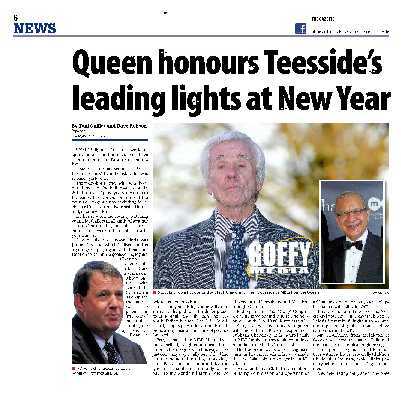 Goffy organised lots of press publicity across all platforms throughout this campaign, including Social Media. 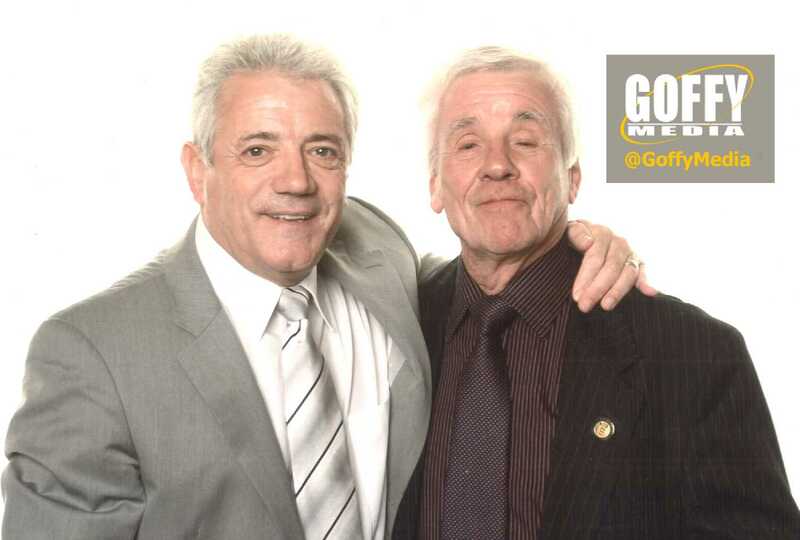 One of the highlights was a double-page spread in Everton FC's programme, following a meeting with their Chairman Bill Kenwright. This highlighted Eric's career and the many youngsters who went on to make a living from their love of the game. 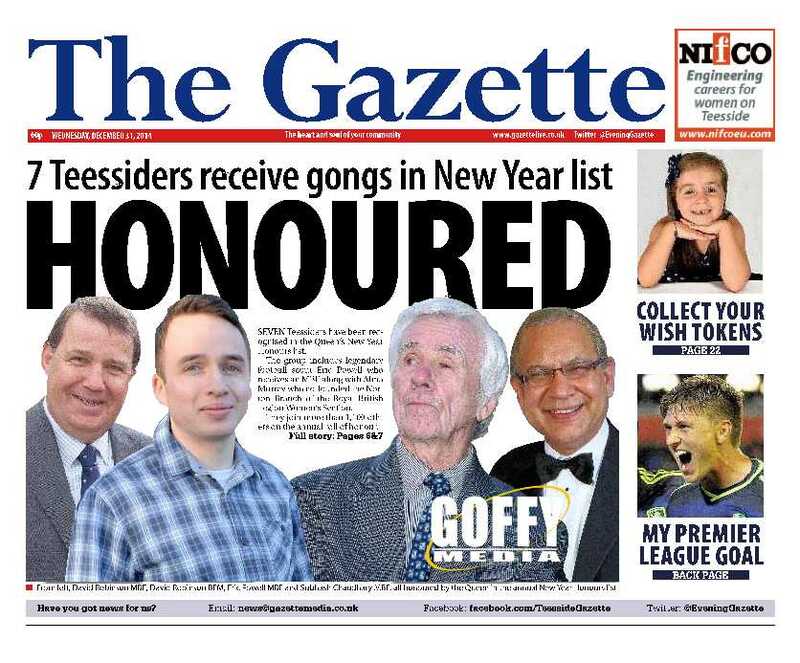 This is one of several similar projects that Goffy Media have worked on, and their experience and contacts in gaining deserved recognition are also available to help someone you know.